The Southcrest Manor Hotel HotelThe Southcrest Manor Hotel, an independently owned and run Wedding, Conference and Hotel venue, sits quietly amongst picturesque and tranquil surroundings, offering you the belief that you are in the middle of nowhere, when in fact you are situated close to Redditch, just off J3 of the M42 between Birmingham, the NEC and Stratford upon Avon. Boasting more than 10 acres of private woodland and lawn, you are never too far from peace and quiet of the countryside. 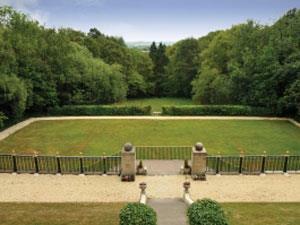 The hotel is blessed to be overlooking the Famous Vale of Evesham, often known as the Garden of England. A breath taking view unavailable from any other hotel near Birmingham. Southcrest Manor Hotel is lucky enough to be attracted by those not only wanting a Worcestershire location but a Warwickshire County location too. Warwickshire, some would say is the historic cultural epicentre of Britain, housing such attractions as Shakespeare's Birthplace, the world famous Royal Shakespeare Theatre, Warwick Castle and Royal Leamington Spa to name but a few. Don't want to travel far? Then why not visit the Redditch Palace Theatre once described as the miniature opera house of its time boasting period features and a catalogue of entertainment for all to enjoy. You don't have to be a resident to visit the hotel. Whether it be afternoon cream tea or one of our entertainment nights whatever you choose, you are sure to receive a warm welcome and a lasting memory! 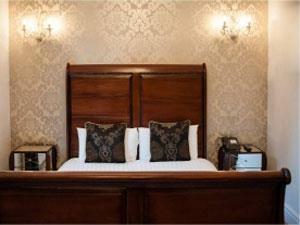 The hotel gives value and benefit to its guests, over and above the standard of many of its competitors. The Manor offers accommodation of 60 comfortable and clean bedrooms with modern surroundings that still retain some of the hotels period features. We will full fill the promise of an exemplary personal service and the level of recognition that you expect and deserve. Our aim is to provide you with a luxurious and relaxed environment within which to conduct your business, whether it is actual business or the business of relaxing! Looking for a unique wedding venue then please come and take a look around. Either call the team to arrange a viewing by calling us on 01527 541511 or just go to our website to view the next few wedding open dates. You will be able to pop and meet the team and see the hotel dressed in all its glory. Traditionally styled large bedroom with 22" LCD television, Freeview channels, telephone, shower / bath combination, complimentary toiletries, mineral water, hairdryer, electric kettle, hospitality tray, ironing facilities, alarm clock, free WiFi and free parking. Traditionally styled bedroom with 22" LCD television, Freeview channels, telephone, shower or shower / bath combination, complimentary toiletries, hairdryer, electric kettle, hospitality tray, ironing facilities, alarm clock, free WiFi and free parking.